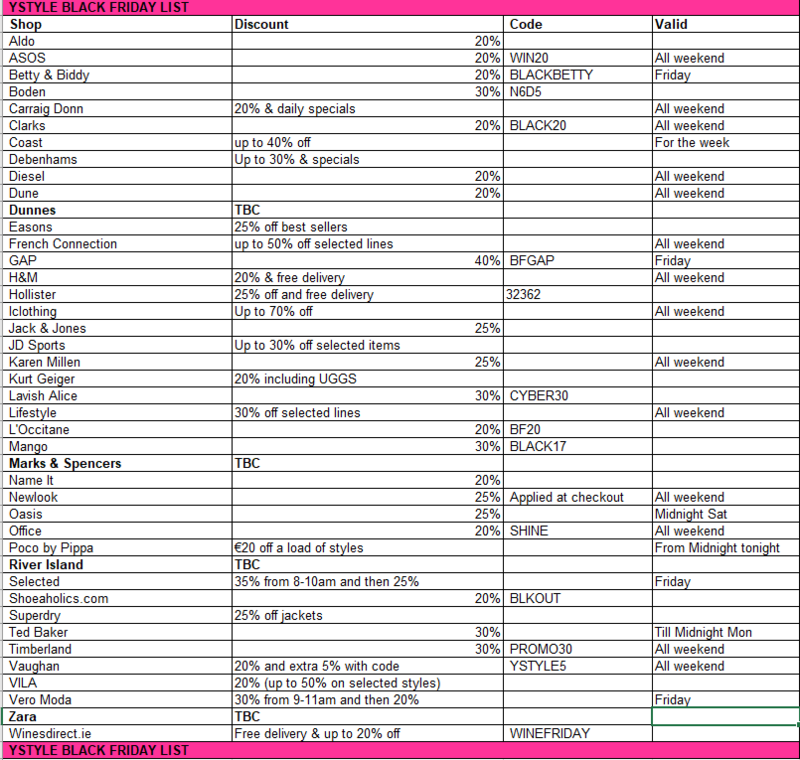 Hi girls, here is a list I pulled together of codes for tomorrow, some already work. Zara, Dunnes, M&S and River Island still not confirmed! Ill updated once I know! Happy Shopping! « Family Holiday this year to France!